Image courtesy of California Labor Federation. Wisdom courtesy of César Chávez. Shameless desecration courtesy of the author. 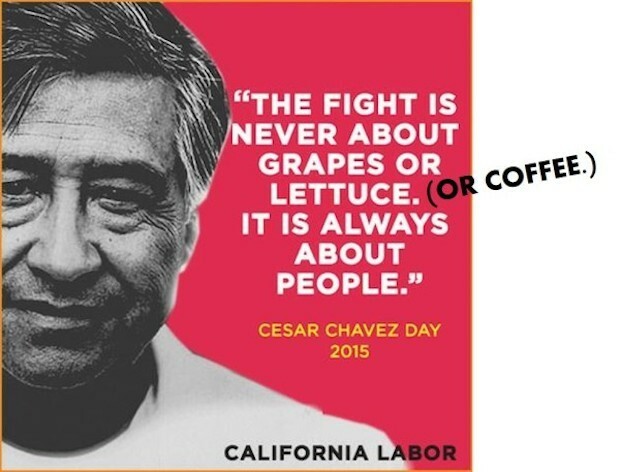 United Farm Workers, the iconic farmworker union started by César Chávez during the 1960s, may be most closely associated with California, but it has been working in the coffeelands since 2012. Erik Nicholson, a national Vice President at UFW, has been leading the charge. He has been working tirelessly for farmworker justice for more than 30 years in the United States and overseas. His experience in coffee is closer to 3 years, but in that short time his relentless focus on workers means has seen and done things in the coffeelands that many of us haven’t. We have been collaborating with Erik and his team at UFW over the past few years. 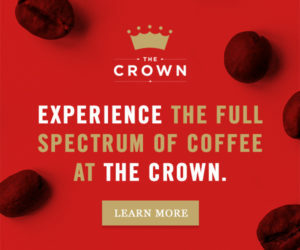 And their comparatively fresh perspective on coffee, combined with our relative ignorance of labor issues in the coffee chain, means that they continue to deliver valuable insights on a coffee trade we thought we knew well. One of them was a passing comment Erik made last year that I haven’t been able to shake. There may be some opportunism in there. After all, baristas have emerged over the past decade as coffee’s rockstars, while farmworkers continue to labor mostly in anonymity —nameless, faceless, interchangeable factors of production. If we were to assign the “field barista” tag to farmworkers, some of the glow of the spotlight shined on baristas might rub off, helping farmworkers take a step out of the shadows. But there are two real insights there that resonate with me. The first is the un- or under-appreciated role that farmworkers play in the quality assurance process, which Erik sees as similar to the role baristas play farther downstream in the supply chain. The second has to do with the process of professionalizing the role of the farmworker, which the industry has done in a very intentional way with and for baristas over the past decade, in part due to the recognition of that role. Obviously, the magic of the barista isn’t just that s/he ensures the quality of the coffee in the cup, but how s/he delivers a meaningful customer experience. That isn’t something farmworkers will ever do since they are not customer-facing in the same way baristas are. And I don’t see farmworker competitions for pruning, harvesting or selection like the ones for barismo, latte art and tasting. 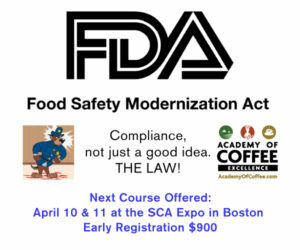 But if the industry could do something to professionalize the role of the farmworkers it depends on for the viability of its supply chains that was even a fraction of what it has done with and for baristas, well, that would be something that underscores the special in specialty. 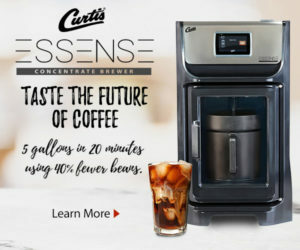 This would not do much to stop people from rolling their eyes over that “pretentious coffee snob”. Farmers are farmers. The fact is that everyday coffee drinkers aren’t going to pay further attention to farmers simply because we change what we call them. 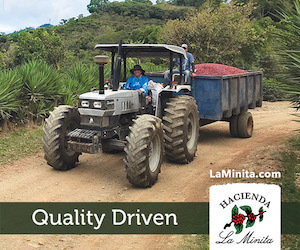 Coffee “insiders” and enthusiasts are going to be the only ones that care or even think about the farmer that cultivated the bean, for the most part. It’s the duty of those in the coffee industry to keep talking about the farmers, that’s how we elevate the importance of their role. Plenty of coffee newbies come up to the bar without a clue of what they should drink. In our description of the beans, we should absolutely talk about the farmer. 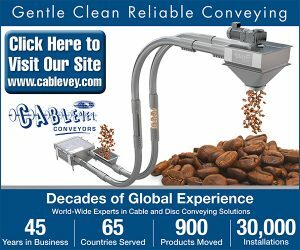 Another reason why the direct trade relationships are so valuable. The coffee roaster and the coffee bars need to start by knowing where their own coffee came from.